Five years ago, I mentioned in a post that I'd read about this book on an author's blog and was frustrated that it didn't have a U.S. publisher and wasn't scheduled to be released in the states. The author of the book saw my comment and reached out to me with an offer to send me a copy. It arrived and, let me tell you, I read it from start to finish in a little under two hours and loved it! My only regret was that because it didn't have a U.S. publisher, my fellow readers weren't able to enjoy it as much as I did. Imagine my surprise while reading publisher's catalog when I found out that it had finally found a publishing home in the U.S. With that, allow me to introduce you to The Hairdresser of Harare. I know you're going to love it as much as I do. 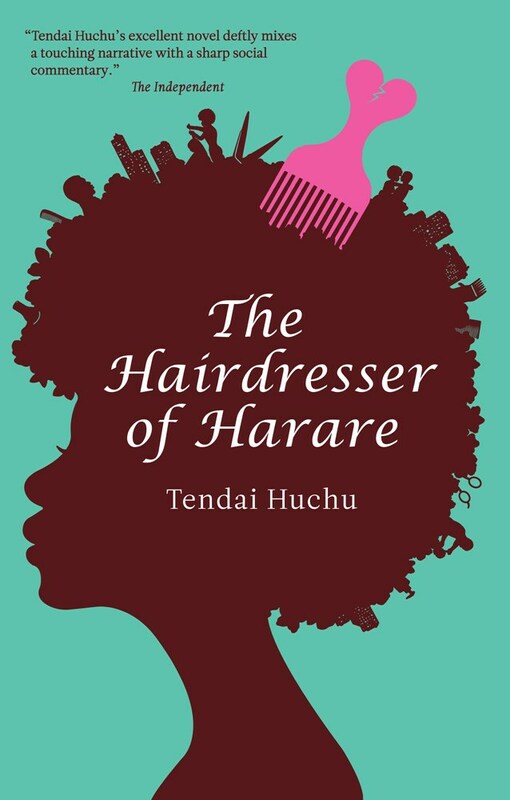 The Hairdresser of Harare by Tendai Huchu is the story of what can happen when you refuse to see what's right in front of you. Vimbai is a single mother raising a child that's the result of an affair with a married man. Working in Mrs. Khumalo's salon, she's the best hairdresser in Harare. All of that changes the day Dumisani appears. Though male hairdressers are unheard of in Harare, Dumi's charming ways with both Mrs. Khumalo and the customers immediately makes him the star of the salon. Feeling put off by this, Vimbai avoids him. However, the need for extra income prompts her to offer him a room in her house when she learns that he has no place to stay. Both are cut off from their families, though for different reasons, and, as a result, become quite close. Dumi sends confusing messages to Vimbai when he invites her to attend a family wedding with him. His family is immediately drawn to her and embraces both her and her daughter. I really feel that Vimbai and Dumi use each other to legitimize themselves to others. Earlier when I talked about not seeing what's in front of you, I was referring to Vimbai's refusal to acknowledge that perhaps there was something Dumi was hiding. As a reader going in knowing the back story, it was obvious by what the family was saying that there was something about Dumisani that he hadn't shared with Vimbai. However, I think even without knowing what the family was referring to or why, had she been paying attention, there were plenty of hints and signs for Vimbai to see. When Vimbai is finally confronted with the truth, her reaction is such that she outs Dumi to those that intend to do him harm. Ultimately, he must leave Harare and Zimbabwe altogether. It's not until she realizes that she will lose every aspect of him that Vimbai truly grasps the consequences of her actions. I loved the author's use of words and their flow. He does a wonderful job of describing not only the characters, but their surroundings. This is a must read!